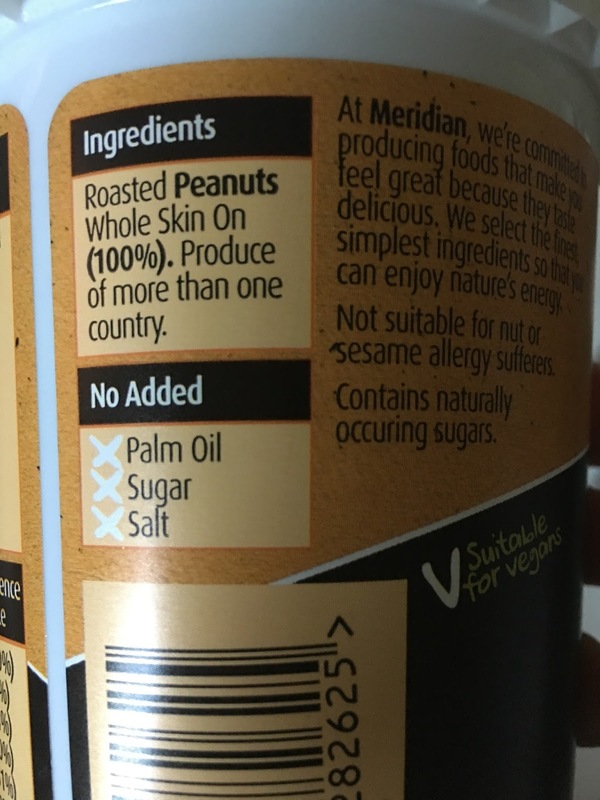 I'd been looking for 'whole food' solutions to junk food problems when shopping and thought to myself "hmm, wouldn't it be good if someone made peanut butter with the whole peanut and then didn't add any nonsense on top". Seems that not only did a few people get to this idea before me (no surprise) but there are entire brands and options dedicated to this. 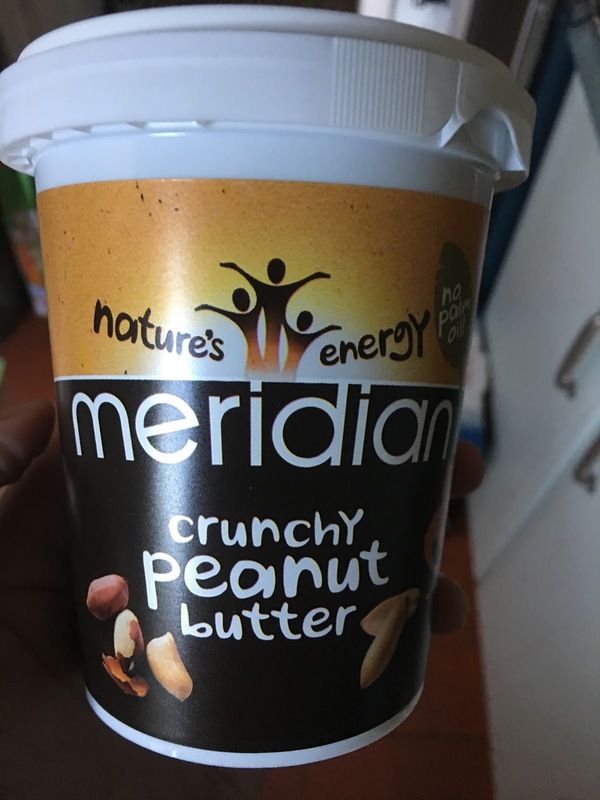 Meridian's nature's energy range is one of these with no extra oil or salt. OK, so they roast the peanuts, and they are blended for flavour, and they are presumably just as energy and oil containing as peanuts ever were - but this is as close as you can get to home made peanut butter in a convenient store tub. It sure doesn't look fancy. 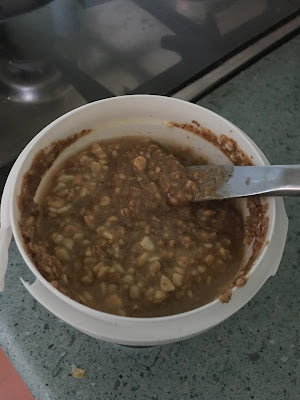 It does however taste great, it's got an earthiness to it that is almost unexpected compared to more traditional artificial tastes like in peanut confectionary. 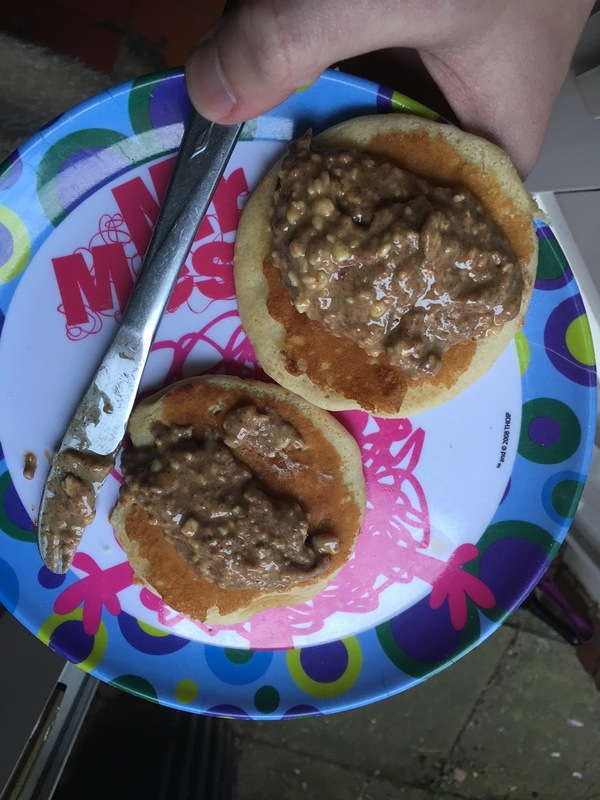 It's maybe a little too sticky for my portion size (the KP brand I used to gravitate to had a grainy texture that means it spreads instead of just sitting there). It also doesn't display well on little pancakes. I'm not a fan of bread so I'd rather have it on this kind of savoury plate. Or I have it with pasta and a large glass of milk! Essentially for someone who needs the calories or is using it in a recipe then this is a great way to get hold of it. I think I maybe would prefer it smoother, but the big chunks do have a texture and taste that is really satisfying. It tastes like good, honest peanuts. If you want to salt it you could, but as it stands this is a good start to the range of nut butters on offer. And when I finish this tub, i'm going to review some more diverse options. you could defo make this into a fab asian style peanut butter chicken dish! 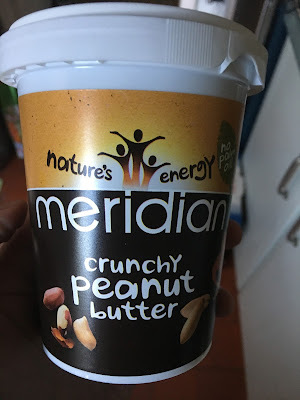 I prefer peanut butter sweet - I often use it in combination with nutella on toast - just me?